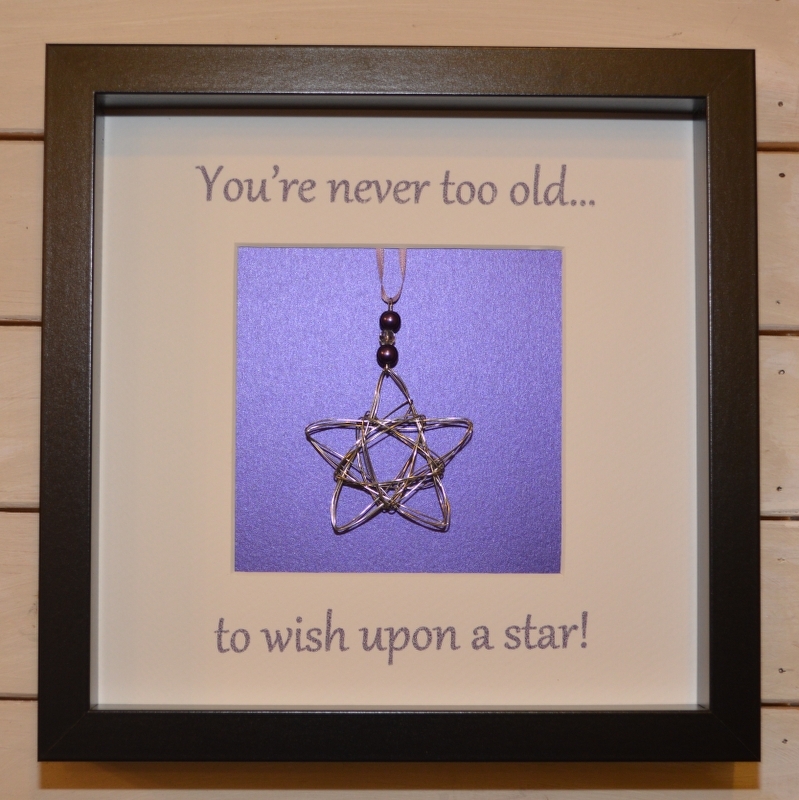 This gorgeous gift is perfect for everyone no matter how old or young. 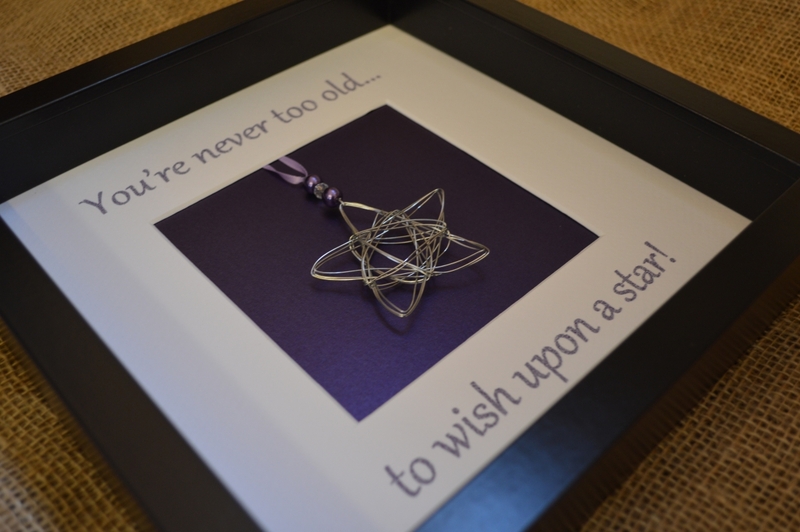 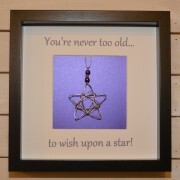 It reads ‘You’re never too old… to wish upon a star! with a star in the centre created by us out of silver wire. 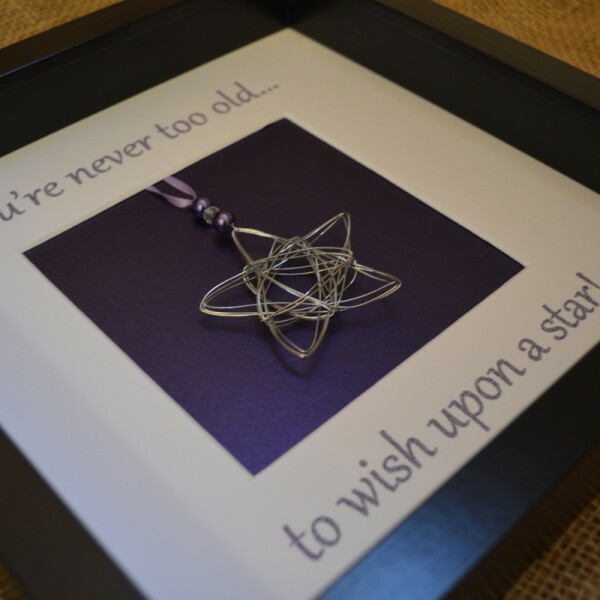 Please indicate in the drop down box what colour frame and the colour of the theme you prefer and we will create this piece with that in mind.